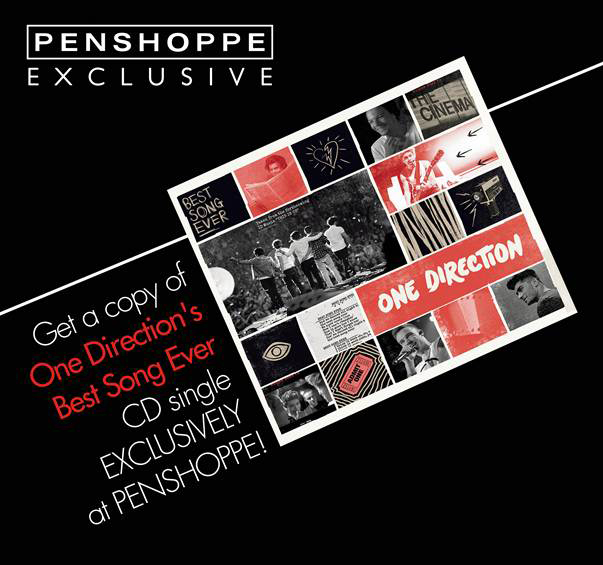 With your single receipt purchase (any amount) from Penshoppe, you can get to buy One Direction's CD single entitled Best Song Ever for only Php250.00! While for those who own Penshoppe cards who have activated their accounts, holders can get it with no purchase requirement - they only have to present their card to get the CD single, also worth Php250.00. One Direction's Best Song Ever broke Vevo records with a whopping 12.3 million views in just 24 hours! The song will also be featured in "This Is Us" (showing in theaters on August 30), a film that offers a juicy insider's look at life on the road for the band.